Your Solana Beach Family Dental office serves families in North San Diego County, including Solana Beach, Del Mar and Encinitas. The practice has hundreds of 5-star reviews and has been named Top Dentist in San Diego for two years in a row. Make an appointment now for every member of your family. 1. Learn to Brush and Floss Twice a Day, Every Day. Begin a baby’s dental program by wiping gums with a damp cloth after every feeding. Supervise each child’s brushing to ensure they are doing a good job. Gingivitis, a serious gum inflammation, is caused by plaque on the gums. Plaque is a hard shell made up of petrified bacteria. Gingivitis leads directly to tooth loss and infection. If gingivitis is not controlled, bacterial growth can enter the body directly from the mouth. Conditions such as trench mouth, bronchitis, pneumonia, heart attack and stroke — and even more serious diseases such as diabetes, Alzheimer disease and dementia — can count mouth bacteria as a measurable cause. 2. Eat and Drink to Help Your Teeth. A serious dental condition called “bottle mouth,” is caused by putting a baby to sleep with a bottle of milk or juice. The sugars in the bottle stay on the teeth and gums while sleeping. The resulting bacteria and plaque can cause significant decay to babies and toddlers. Only water should be given to babies before they sleep. Some foods begin their destructive ways the second they hit the mouth. Bacteria present in the mouth convert sugars from foods like fruits and candy into acids that attack the enamel on the teeth. Eat foods like calcium-rich cheeses, meats, nuts, milk, fruits and vegetables. 3. Tooth Scaling Saves Teeth. Plaque on the teeth is a hard, cement-like substance that can no longer be brushed away. It must be literally chipped off. Tooth scaling — the scraping of plaque from the teeth — by a dentist or dental hygienist can prevent heart attacks and strokes. In fact, the chance of heart attacks and strokes has been shown in large studies to be reduced by one-third if scaling is done at least once a year. 4. Consult Your Solana Beach Family Dental Office Twice a Year. Everyone needs to see a family dentist twice a year starting at the first birthday. There are many dental problems particular to infants and toddlers. There are safe plastic sealants available that the dentist can apply to children’s newly erupted permanent teeth without cavities or fillings. The sealant keeps food particles from penetrating to the tooth. Most people think about visiting a dentist regularly to find cavities or when in dental pain. 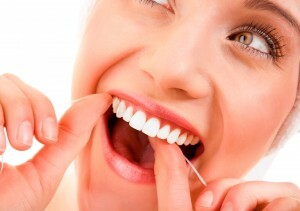 The dentist will be able to see developing problems that can be taken care of while they are still small. Yearly dental visits are probably the best indicators of retaining teeth into old age. Call Solana Beach Family Dental to schedule your family’s appointments.